We're back to another 'Lost Weekend In Vexillology' but I'm going to give myself a pass and say that since we did Lesotho last week, I figured why not follow up one enclave with another- so we're heading north to the Italian Peninsula to take a look at the flag of the Republic of San Marino. San Marino has a long, long history that dates all the way back to the 3rd Century, when Marinus, a stonemason from a Roman colony near present-day Croatia helped to build the city walls of Rimini. He then went on to found an independent monastic community on Monte Titano in the year 301. So San Marino has a claim to be the oldest extant sovereign state in the world as well as the oldest Constitutional Republic. (It's Constitution is a series of six books written in Latin in the late 16th Century.) So, it's been around for awhile. In the blue shield, we find three towers on top three mountains topped with a weather vane that is symbolized by a silver ostrich feather. The towers stand for the three citadels of San Marino (La Guaita, La Cesta and La Montale) and the hills stand for the three summits of Monte Titano. What else about San Marino? Well, it's got more vehicles than people- it's been run by Fascist parties (before and during World War II) and had the first democratic election Communist Government in the World (between 1945 and 1957).Weirdly, it's also not a member of the EU or in the Eurozone, but it uses the Euro as currency. So go figure. 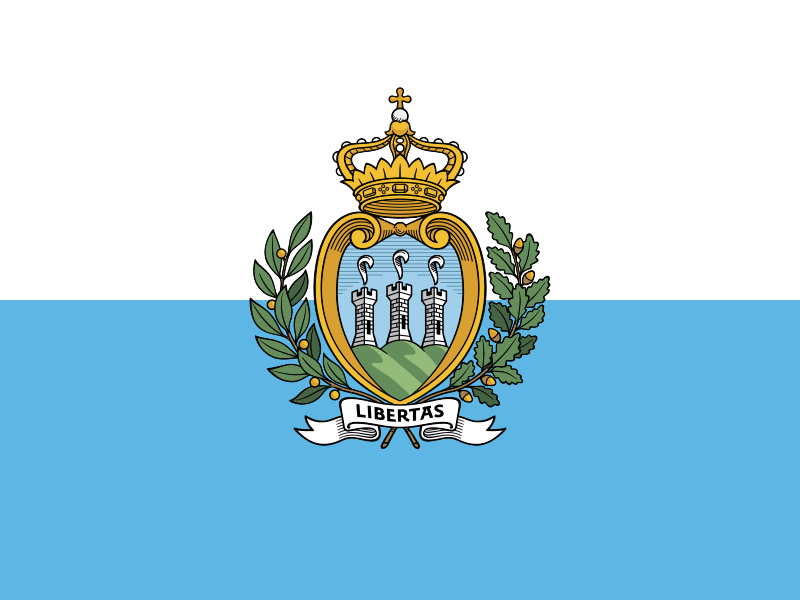 And that's San Marino! Remember, until next time keep your flags flying- FREAK or otherwise!